Michigan is a well renowned state in the United States with a good standard of living but what people don’t know about Michigan is that 8 percent of the children in Michigan live in extreme poverty. Michigan has an income below 50 percent of the poverty level. Unlike other countries, children in Michigan are more likely to live in poverty than other individuals of the same group. Overtime, there has been a bigger increase in the number and percentage of poor children under the age of 18 in Michigan.Poverty in Michigan has increased to a big 66 percent since 2001. 3.4ths of the rise in poverty in Michigan started before the recession started in 2008. The poverty rate in Michigan began to rise through 2011 to 17.5 percent up to 16.8 percent just a year ago. According to statistics, nearly 1 in 4 children in Michigan live in poverty. The child poverty increased to 24.4 percent in 2011, up from 23.1 percent in 2010 and about 14.2 percent in 2001. Nearly 13 other states, all in the United States South or South West had a child poverty rate even higher. Other statistics show that 15.4 percent of Michigan’s children that are under age 18 live in poverty. Moreover, Michigan has brought a big decline in its child poverty rate by about 30 percent since 1993. The poverty statistics therefore have been really high. The unemployment insurance kept 2.3 million Americans from falling in poverty till the last year and it kept 3.2 million from falling in poverty. However, it is important to note that without proper insurance, the number will climb to 3 million by April. The issue of child poverty is a serious one in Michigan. Michigan’s success child poverty rate in the mid-late 1990s indicates that policies, states, locals all have a serious impact on the overall well-being of children. On the other hand, it is also important to prevent child poverty in Michigan. There are certain serious impacts of the impact of poverty on the wellbeing of children. Children who tend to live in poverty are more likely to go through serious consequences than middle-high income families. Poverty has severely increased social distress and therefore Michigan is trying their best to gut and not expand all last resort safety net programs. In the state of Michigan, more and more states are cutting assistance programs and the official poverty rate misses the declines in real income from budget cuts. Thus overall, the official poverty level has failed to reflect the increasing distress that the low-income families are going through as benefits such as food stamps and others are being cut. Poverty is a serious concern. The detrimental effects of poverty have been seen in many different studies. The studies show that children who are going through poverty are going to suffer and experience many different problems such as poor health, material deprivation and they will also tend to drop out of school. A reduction in median income and increasing income inequality increased torecession in 2008. Michigan lost more than 400,000 manufacturing jobs between the year 2000 and2010. There has been a continuous decline in the median incomes and major sectors such as the low paying sectors saw a huge decline in the retailMichigan’s economy has continued to slow down and there has been steady improvement in the last year with rising income levels. On the other hand, median household incomes in the state have increased to 1.7 percent for the second row. Michigan’s median household income was $49.847 and it has now reduced to $53,657.Michigan has seen a decline in poverty. About one of the 12 states has experienced a big decline. The percentage of people in Michigan in poverty has fallen from 17 percent to 16.2 percent. Children represent a big share of the poor in the US. There is about 24 percent of the population that is poor but 36 percent of the population in general is poor. Moreover, in the year 2010, 16.4 million children or about 22 percent were poor. The poverty rate for children has increased and the table shows that about all the children under 18 was living under poverty. On the contrary, 12.4 percent of the people in 2010 were white. 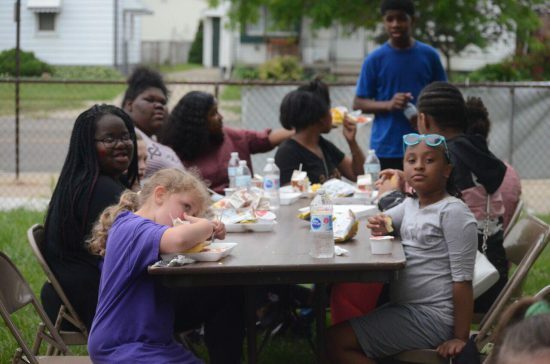 Moreover, 38.2 percent of the black children in 2010 were living in poverty and 13.6 percent of the Asians were living under the same poverty conditions.Poverty, therefore, is a serious concern in Michigan’s and the numbers are invariably increasing. The poverty rate for all the people and of all age groups has risen but the one slot that is actually living under poverty are children.